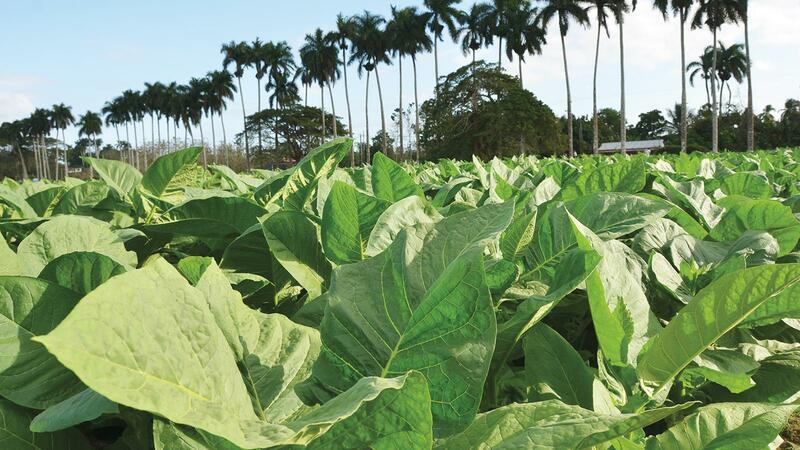 Filler tobacco flourishes in Cuba's Pinar del Río region. The 2017–2018 tobacco harvest is under way in Pinar del Río, Cuba’s prime tobacco-growing region, and first reports from the province indicate the crop is excellent. Hirochi Robaina, answering his cell phone as he rode on a tractor in his fields, said “This is a very good crop. We have had warm days and cold nights, which has been good for the tobacco.” He said his crop is on par with last year’s, which was considered one of the best in recent time. “My barns are nearly full, and we are still harvesting,” he added. Hector Luis Prieto, another high-quality tobacco grower in San Juan y Martínez in Pinar del Río, said his crop is “almost perfect.” He said that there had been no issues with any diseases, and the crop was looking excellent, like the crop from 2016–17. Prieto expanded his acreage under cultivation this year, so his results mean more good tobacco for cigars. According to several other sources, this year’s crop may actually be better quality than last year’s tobacco, which is good news for the Cuban cigar industry. The three previous crops (2013–14, 2014–15 and 2015–16) were considered to be of mediocre quality with reduced quantities of tobacco. There was no immediate confirmation if total planned plantings this season reached the targets set by Tabacuba, the government organization that oversees tobacco production and marketing. Initially, the plan was to increase acreage under cultivation by 10 to 15 percent. For now, the reports from the farms indicate that whatever was planted is being harvested in good condition with high-quality leaves.